It is always an exciting moment when you start driving your first Audi. If you have never driven one before, chances are you are pretty keen to get going, and you will probably feel that you already pretty much know what you are doing. This is likely to be basically true, especially if you have already been driving for a long time. You still might be surprised at just how much there is to consider that you might not have thought about with other vehicles. The truth is that driving an Audi is not quite like any other vehicle, and it is different in a number of ways. One of the first things to consider is that you will want to treat your car with as much respect as possible. That means not taking it to its extremes straight away, which can be tempting with a car like an Audi, and especially if you have a particularly big engine in yours. It is best to start off slow and gentle and ease your way into it. The most important way to do this is to make sure that you are accelerating gently to begin with and not accelerating too hard. This is important not because the Audi can’t handle it, but because you don’t want to put it under too much pressure and strain at the very start. For a similar reason, you also want to make sure that you don’t brake too hard as an Audi will generally (like many other cars) need some time for the brakes to settle in, and you don’t want to overdo it while the car is still new. Take it easy and you are much more likely to get more out of it in the long run. As with any new car, you will find that it is important to look after the tires as best as you can so you can expect them to last considerably longer. The best way to ensure that you treat your tires with care is, again, to take it fairly slowly. All you need to do is to treat them well or the first hundred miles or so, by which time they will have been broken in and you can start to go a little faster. Of course, even at that point, you should not make a point of going too fast, but you will find that your tires are by then considerably more sturdy and likely to survive more accelerating and braking than before. Looking after the tires is both a case of safety and care for the vehicle itself, so this is important to bear in mind as best as you can. 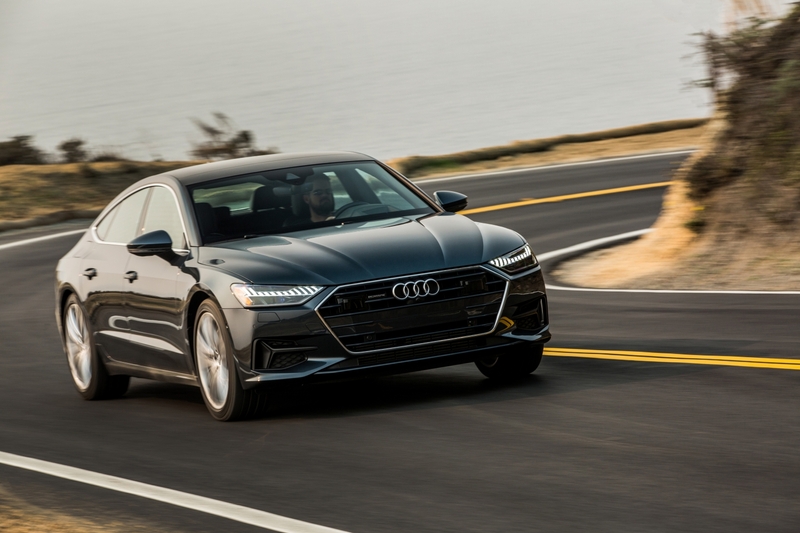 Something that you might find to be a little less obvious is that it is often important to try and vary your speed a little when you are first driving your Audi. This is because keeping the engine going at a constant speed for too long can mean that many of the parts of the engine don’t work as well together as you would want them to. Over time, this can mean that performance diminishes and that you are going to end up with an engine which has not been looked after fully. For the first thousand miles, try to make a point of varying your speed as much as you can, so that your engine is likely to be in a much better condition in the long term. You will be glad you did this when it means that you have far fewer problems with your engine overall and later on when problems tend to occur more readily. When you start with any new vehicle, you are always going to want to think about the spare parts you might need. Even if you are riding a motorcycle for the first time, it’s likely that you will be thinking of getting some parts from Solo Moto to help get you started. Well, with an Audi it’s no different. While your car will have come complete, you might find that there are a few spares that are worth having, or at least knowing where you can get them from should you suddenly need them. The more keyed in you are to where you can find additional parts, the more likely it is that you can make simple repairs yourself if you have to. This will help to save you time and money, and generally a pretty wise move when you are starting to drive any new car for the first time. It might seem that oil consumption is very high for the first few thousand miles. This is a very common experience with new cars. If you are not prepared for it then it can be a little disarming. However, it is perfectly normal and natural, and not something that you need to worry about. In fact, it is a good sign that your car is working as it should. Hopefully, this consumption should drop after the first few thousand miles. You should make a point of keeping an eye on the oil regularly anyway so that you can keep your car in the best possible condition at all times. Do you have any tips to add when driving an Audi for the first time?